According to the “Broken Window Theory” proposed by James Wills, an American social psychologist, in 1982, a dirty urban environment causes a decline in moral standards among people, leading to misdemeanor crimes such as the unlawful disposal of waste and destruction of public structures. These crimes can, in turn, lead to serious crimes or a feeling of lawlessness cities. Rudolph William Louis Giuliani, the former Mayor of New York who was elected in 1994, implemented this “Broken Window Theory” by imposing strict regulations to prevent and deter misdemeanor crimes, and ordered the prohibition of graffiti and the removal of graffiti to revamp the basic city landscape. He managed to lower the crime rate significantly as a result. but also can reduce the feeling of safety within cities. We need to be aware of this possibility!! 4) No risk of injury since the surface is flat. No other product can copy the functions even when they may copy the look!! 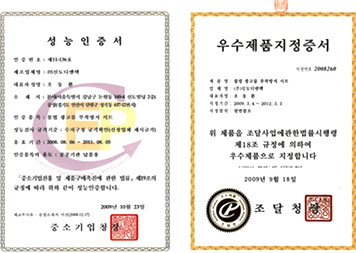 Outstanding function was verified by test conducted by official testing institution. UV source of light : Used for extreme tests since it has more powerful energy compared to the regular visible light as this causes skin cancer in humans and heats up plastic products. despite such a severe accelerated weathering test based on UV source of light. 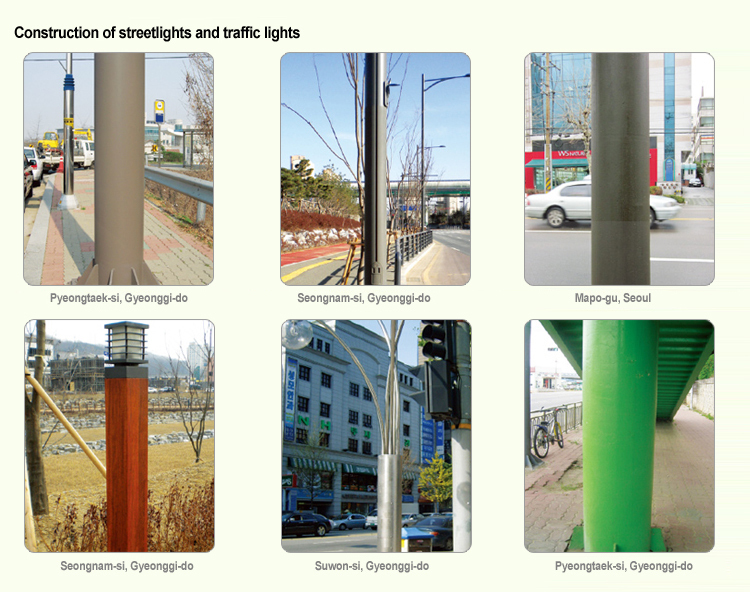 3) Best product with proven function is the best method for improving street scape and for preventing budget waste. 4) Color paint to prevent advertising attachments was first approved as an excellent product by Public Procurement Service in June, 2010.